The Non-Proliferation Treaty (NPT) is a part of the Law of Peace and the Law of War. However, the obligations included in the treaty are dependent upon states’ attitudes regarding other issues. Non-use of nuclear weapons is directly related to negotiations done for the purpose of non-proliferation of nuclear weapons, non-production or accumulation through other ways and disarmament. In our day, prevention of the proliferation of nuclear weapons has been one of the current issues of international law. The present study is of crucial significance due its endeavor to clarify the general principles of Humanitarian Law in relationship with nuclear weapons threat. Until this moment, a special norm significantly limiting or completely prohibiting the use of nuclear weapons has not been accepted in international law; however, customary international humanitarian law regarding the use of nuclear weapons holds a great value because of its purpose to eliminate nuclear weapons as means of war through ascertaining their non-use and also to appease the importance of nuclear ascendency. In this context, the NPT regime and its relationship with international humanitarian law will be argued in this paper. Firstly, the NPT background, emergence process, main purposes and principles will be analyzed considering the legal framework of NPT. One of the main parts of the study is the legal framework of the NPT regime. In this section, especially Atoms for Peace will be evaluated in detail. After the United States’ decision to share its nuclear information, a nuclear proliferation racing began. Afterwards, testing process of the nuclear weapons started. As a result, following the United States SSCB, Britain and France realized their first nuclear tests. During early 1960s, in a study done at US president Kennedy’s order, in the coming 20 years, which is until 1980s, almost 40 states would be able to produce nuclear weapons. This issue caused a lot of concern especially for the United States and the Soviet Union. Moreover, between the two states consensus has not been achieved on non-proliferation of nuclear weapons. This has been the case until 1964 when the People’s Republic of China performed its first nuclear weapons’ test. But, since this date the United States and the Soviet Union could come to the point on the same side. In the end, having already begun with Ireland’s attempts and under the UN nuclear disarmament as a result of the ongoing negotiations, the Nuclear Non-Proliferation Treaty (NPT) was opened for signature on July 1st, 1968 on the proposal of Ireland and has been signed by majority of the sovereign states. 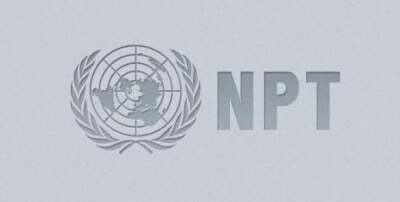 NPT whose main purpose is to prevent the proliferation of nuclear weapons developed through the softening of the Cold War. Except for the UN Security Council’s five permanent members, all the states who have signed the NPT are forbidden to accumulate nuclear weapons (Article II). By signing this Treaty, nuclear powers have accepted to give technical support to those states which seek peaceful nuclear technology, to negotiate for nuclear disarmament, to decrease number of nuclear weapons and finally complete disarmament. Non–nuclear weapon states who intend to accumulate nuclear energy are obliged to allow the International Atomic Energy Agency (IAEA)  to control nuclear plants in order to make sure of preventing deflection of nuclear materials into weapons (Article III). States possessing nuclear weapons stipulate not to transfer nuclear weapons to non-nuclear states and non-nuclear states stipulate not to accept nuclear weapons if proposed by armed states (Article II and III). Preventing the proliferation of nuclear weapons, disarmament and the peaceful use of nuclear energy, constitute the three main objectives of the NPT. The NPT has accepted the advantages of nuclear technology used for peaceful purposes but has not clarified if the same technology can be used in making nuclear weapons. In this regard Nuclear Weapon States and Non-Nuclear Weapon States have been differentiated in the NPT. In the Treaty, Nuclear Weapon States have been identified as states that have tested one nuclear weapon before January 1st, 1967. At the time that the NPT was signed the five permanent UN Security Council members, the U.S., USSR, Britain, France and China are the five official nuclear weapon states. India and Pakistan were known to have nuclear weapons and Israel’s nuclear weapons were deemed to hold a strong suspicion, however, none of these countries have signed the NPT. According to this embodiment, before the emergence of the Treaty the states which have exploded a nuclear device would not give up this capability by developing controlled nuclear chain reaction. In Article VI of the NPT, despite “Each of the Parties to the Treaty undertakes to pursue negotiations in good faith on effective measures relating to cessation of the nuclear arms race at an early date and to nuclear disarmament …” phrase these states have not allowed a provision which would bind themselves. Some states, particularly India have described this differentiation inherent in the NPT as discrimination and clearly announced that it will not be a party to the Treaty and conducted its first nuclear weapons tests in 1974. Pakistan also announced that it will not be a party to the NPT and has carried out its first nuclear test in 1998. These two states are not party to the NPT thus do not have the status of “nuclear weapon states” but rather are called “de facto nuclear weapons state” or “states which are going to get nuclear weapons” are recognized capacity. In recent years, nuclear disarmament, developed out of concern for humanitarian suffering, has failed. But a genuine nuclear disarmament process has not been realized and none of the nuclear weapons states has left their nuclear weapons and after the many of disarmament conferences and treaties (such as START I and SART II) coordinated so far, nuclear weapons have not been completely eliminated. Although mentioned treaties can be considered as an important step towards the reduction of nuclear weapons, but the path to nuclear disarmament is long. This means that the nuclear disarmament targeted by Article VI of the Non-Proliferation Treaty (NPT) has not been realized. Article VI of the treaty explicitly commits all states to “pursue negotiations in good faith on effective measures relating to cessation of the nuclear arms race at an early date and to nuclear disarmament”. In this respect, the most important problem is that the nuclear weapons states have assimilated the nuclear deterrence politics. Accordingly, the nuclear disarmament process would be completely undermined as long as the states continue to adopt deterrence policy. One question is if International Humanitarian Law (IHL) and NPT are directly bound. One of the most important goals of the NPT regime is achieving nuclear disarmament. Article VI of the NPT commits all of the states parties to pursue negotiations in good faith on nuclear disarmament. Therefore, it seems far from in appropriate to ask if nuclear disarmament is one of the humanitarian goals of the NPT regime. Effective and urgent implementation of article VI of the Treaty on the Non-Proliferation of Nuclear Weapons and paragraphs 3 and 4(c) of the 1995 decision entitled ‘Principles and objectives for nuclear non-proliferation and disarmament’, and building upon the practical steps agreed to in the Final Document of the 2000 Review Conference of the Parties to the Treaty on the Non-Proliferation of Nuclear Weapons, the Conference agrees on the following action plan on nuclear disarmament which includes concrete steps for the total elimination of nuclear weapons. “The Conference further agreed that Review Conferences should look forward as well as back. They should evaluate the results of the period they are reviewing, including the implementation of undertakings of the States parties under the Treaty, and identify the areas in which, and the means throug hwhich, further progress should be sought in thefuture”.Substantially IHL supports non use of nuclear weapons. This fact has been realized in the Preamble of the NPT. First Preamble of NPT reads: “Considering the devastation that would be visited upon all mankind by a nuclear war and the consequent need to make every effort to avert the danger of such a war and to take measures to safeguard the security of peoples …”. Consequently we can see the connection between non-use of nuclear weapons and nuclear disarmament in the origins of the NPT. In this context, both of the Soviet Union and the United States after opening of the NPT for signature, proposed an agenda including “the cessation of testing, the non-use of nuclear weapons, the cessation of production of fissionable materials for weapons use, the cessation of manufacture of weapons and reduction and subsequent elimination of nuclear stockpiles …”. The action plan was adopted by a review proceeding provided for by the treaty, as part of the strengthened review process agreed to in connection with the 1995 legally binding decision to extend the treaty indefinitely. It represents states parties’ collective understanding of the appropriate means for implementation of Article VI. Implementation of action plan commitments consequently would be strong evidence that states parties are complying with Article VI and the NPT. This point certainly applies to the IHL commitment, due to the close interconnection with the application of IHL to the realization of core purposes of the NPT, prevention of nuclear war, and disarmament. Meanwhile, International Court of Justice (ICJ), in 1996 advisory opinion on legality of the threat or use of nuclear weapons, predicated the application of IHL to nuclear weapons. In this context, it would not be wrong if we say that ICJ has a humanitarian approach to nuclear disarmament as an NPT commitment. Although there is no direct discussion and naming of IHL in the NPT, the treaty owes its validity to IHL. If the IHL aspect is excluded from the NPT the treaty and its binding value would be eradicated. Thus skipping IHL in NPT and its additional commitments would somehow be denying those commitments. As a justifying example, in Article VI the commitment of disarmament actually verifies a humanitarian law commitment. As a consequence, it is far from overestimation that IHL and NPT are directly connected. As a result, it is necessary that a clear explanation of the exact requirements to bring the current policies of nuclear weapons states into compliance with IHL rules and the NPT regime be made. Reasonably enough, had the disarmament commitment in Article VI of NPT been applied by nuclear weapons states, the international community of the present day would not have had to deal with cases such as Iran or North Korea. Consequently, in order to have a consistent disarmament regime some of the states have proposed that establishing of a standing body or annual meetings may be favorable. Without doubt, for realizing the objectives of Article VI of the NPT framework for governance should be reviewed. Besides, in order for disarmament process to succeed, Article VI of the NPT should be strengthened. Important than anything else, creation of a global disarmament treaty may be a considerable undertaking to develop the regime and realize the nuclear disarmament. For this reason, it is necessary that all of the states (nuclear weapons states and non nuclear weapons states) participate in negotiations on this continuum. For more information, see: Pierre Chao & Robin Niblett, ‘Trusted Partners: Sharing Technology within the US – UK Security Relationship’ (2006) CSIS Working Paper, 12. President Dwight D. Eisenhower’s Atoms for Peace program helped some 40 countries develop nuclear power and research programs, while receiving pledges from all that such materials and technologies would not be diverted to weapons uses. See: Sarah J. Diehl & James C. Moltz, Nuclear Weapons and Non-proliferation: A Reference Handbook, Second Edition (Santa Barbara: ABC-Clio Information Services 2008) 14-16, 61. On 8 December 1953, the President of the United States of America, Dwight D. Eisenhower, proposed at the General Assembly of the United Nations the creation of an organization to promote the peaceful use of nuclear energy and to seek to ensure that nuclear energy would not serve any military purpose.1 Eisenhower’s proposals led to the creation of the IAEA and helped to shape international co-operation in the civilian use of nuclear energy up to 1978, when a far reaching change in American nuclear law signalled the end of Eisenhower’s programme of “Atoms for Peace”. For detailed information, see: David FISCHER, History of the International Atomic Energy Agency: The First Forty Years (Vienna: A Fortieth Anniversary Publication 1997) 29-58. Salih ÖZGÜR, Future Threat: Mass Destruction Weapons (Istanbul: IQ Kültür Sanat Publishers 2006) 92-95. 2010 Review Conference of the Parties to the Treaty on the Non-Proliferation of Nuclear Weapons, Final Document,Volume I Part I, Review of the Operation of the Treaty, as Provided for in Its Article VIII (3), Taking into Account the Decisions and the Resolution Adopted By the 1995 Review and Extension Conference and the Final Document of the 2000 Review Conference, Conclusions and Recommendations for Follow-on Actions: A. Principles and Objectives, NPT/CONF.2010/50 (Vol. I), 3-28 May 2010, para. v, 19, available at: http://www.un.org/ga/search/view_doc.asp?symbol=NPT/CONF.2010/50%20(VOL.I)[04.01.2015]. 1995 Reviewand Extension Conference of the Parties to the Treaty on the Non-Proliferation of Nuclear Weapons, Final Document, Part I, Organization and work of the Conference, UN Doc. NPT/CONF.1995/32, Part I, annex, 1995, 8, available at: http://www.un.org/disarmament/WMD/Nuclear/pdf/finaldocs/1995%20-%20NY%20-%20NPT%20Review%20Conference%20-%20Final%20Document%20Part%20I.pdf [04.01. 2015]. Treaty on the Non-Proliferation of Nuclear Weapons, Preamble. Conference of the Eighteen-Nation Committee on Disarmament, Final Record of the Three Hundred and Ninetienth Meeting, Verbatim Record, para. 93 (Aug. 15, 1968, ENDC/PV): 390. Charles J. MOXLEY JR., John BURROUGHS and Jonathan GRANOFF, “Nuclear Weapons and Compliance with International Humanitarian Law and the Nuclear Non-Proliferation Treaty”, Fordham Internatıonal Law Journal, Vol. 34, 686. Legality of the Threat or Use of Nuclear Weapons, Advisory Opinion, ICJ Reports (1996), para. 42, 86. Referto: http://www.icj-cij.org/docket/files/95/7495.pdf. [03.01.1996].